Traditional HTTP streaming such as Apple HLS, Microsoft Smooth Streaming, and Adobe HDS all suffer from high latency multi-second delay between the source and viewers preventing a truly interactive real-time experience with the audience. WebRTC-based broadcasting enables sub-second (millisecond) latency and can do it on a massive scale. 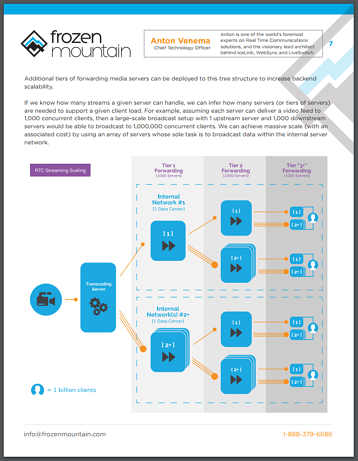 Read more about key concepts you need to consider when adding low latency WebRTC-based broadcasting and streaming to your application - Download our white paper today.